Are you constantly spending money on maintaining your tank car manways? Do you completely trust your manway gasket to perform as described? Are you confident your gaskets will work more than once? Ever wondered why Non Accident Releases (NARs) continue to rise every year? If there was a better cost efficient solution to permanently end NARs while decreasing loading times and mitigating other risks, would you be interested? Current manway systems require a gasket to seal the lid and nozzle of the manway using eye bolts. Whether using a rubber (soft) or PTFE (hard) gasket, once compressed the rubber gasket has a limited ability to rebound to its original shape, while the PTFE gasket has virtually zero rebound. Regardless of how carefully these gaskets are torqued the result is always the same. It is this natural occurring phenomenon known as compression set for rubber gaskets and creep for PTFE gaskets that renders them a risk should a shipper try to use them more than once. Eye Bolts are essentially hardened springs. When an eye bolt is torqued, it is stretched and it is this spring-like load that pulls the two mating surfaces together. 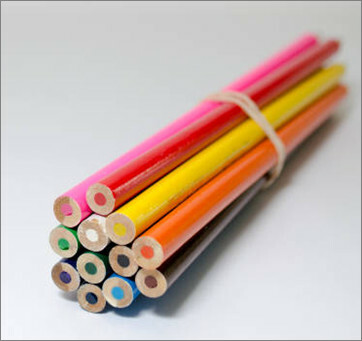 Put another way; imagine securing a bundle of pencils by tying an elastic rubber band around them. Until the band is sufficiently stretched around the pencils, creating a corresponding spring-like force, will the pencils will be secured. However, what would happen if we then removed one of those pencils? By removing just one pencil, the load on the rubber band is sufficiently loosened and the remaining pencils will no longer be bound together as the rubber band no longer has a sufficient load to hold them. This is identical to what happens to gaskets. The simple physics of compression set/ creep is equivalent to removing a pencil and why bolts loosen on the manway. It makes no difference what torque is applied. This will always happen! TransQuip USA has developed an innovative new manway system. Unlike other manways, this design features a Teflon encapsulated O-Ring located on a stainless steel sealing ring that slides inside a stainless steel nozzle. The O-Ring possess the same chemical compatibility as any other PTFE seal but due to its core, is reusable, only requiring replacement in the event of damage to its outer shell (typically resulting from human mishandling). It also has the benefit of standardizing your choice of gasket for your entire fleet as well as greatly reducing your gaskets costs. Additional features include a lift assist spring and a metal-to-metal contact between the lid and the nozzle; acting as a dead-stop. Whether using a manual wrench (requires 5 ½ turns to fully open/close) or an impact wrench, the 3 inch ram ensures a uniform and even load. In addition to eliminating the need for eye-bolts, washers and other components, this design eliminates the need for torque specifications or the need to retorque the manway. Although the Association of American Railroads (AAR) has not released updated NAR figures in over 3 years, there is little doubt they continue to rise. In speaking with dozens upon dozens of shippers, I consistently hear the same concerns, the same horror stories of over tightened bolts, warped washers, issues with gaskets, warped manways and loaders that never seem to quite follow the correct procedures. Quite simply, current manway designs are fundamentally flawed. They are poorly engineered to perform their task. In over 70 years, after numerous groove, bevel and gasket alterations, manways still account for over 50% for all NARs. In other words, no matter how careful you are, you are destined to continue to have problems, incur expensive delays, unnecessary costs and the risk of unwanted fines. More than anything, I hope this blog clarifies the basic engineering flaws with current manway systems. It is no coincidence that all shippers are experiencing the same problems. At best, you can diligently swap out your gaskets after one use to minimize risk, but this is a costly Band-Aid that only goes some of the way to being truly safe. If you are tired of having to deal with these problems and are serious about eliminating manway NARs and would like to learn about this innovative new manway system, contact TransQuip for more information.